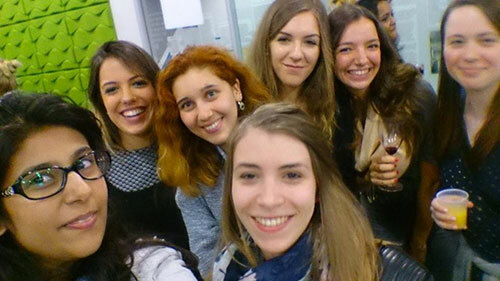 Second year journalism student, Silvia, gives her top tips for starting university life. 1- Know the area – Try to come to London at least a few days before classes start, and get to know your neighbourhood, the places worth going and those it’s better to avoid, the best ways to move around the city from there, etc. Also, start practising the way from home to university: it’s always better not to get lost your first day, if you know what I mean..
2 – Get the useful stuff – among the things you’ll need (almost) for sure when living in London is an Oyster card (the student one takes a little while to arrive when you apply for it online, but has discounts on travel cards so it may be worth it!). Also, I rarely leave home without a tube map and a portable umbrella in the bag. Finally, Citymapper is a must-have app for the phone. 3 – Plan your budget – London is expensive, and money can disappear into thin air. Learning how to keep within your budget is a valuable skill; also, take advantage of offers and promotions (students have many to benefit from!). 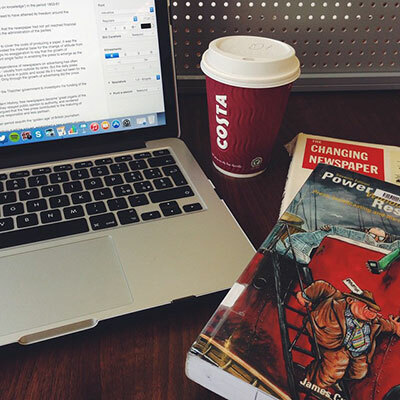 4 – Start being familiar with the subject – some time between June and August you should receive a reading list from your department of study: my advice is to take a few books on different topics and read a little of them all. It’ll save time and effort for when classes start. 5 – Keep up with news and current affairs – that’s fundamental for all us, journalists-to-be! 6 – Well begun is half done – put efforts in your studies from the beginning, it’ll make things easier, and will save you a lot of last-minute stress. 7 – Procrastination is the enemy – With a 3,000-word essay deadline looming or revision piling up, you could easily find yourself drawn into the dark underworld of meaningless procrastination, so keeping motivated is essential. 8 – Embrace every opportunity (and not everything costs money!) – university is not just about studying, and living in London makes it all so much more exciting. Whatever you are interested in, I’m pretty sure you’ll find something right for you. Live your time there to the fullest! 9 – Don’t be afraid to ask for help and advice – your personal tutor, your lecturers, the staff at university, they’re all there to help you deal with any difficulties or problems you might find along the way. If you find yourself struggling with something, whether study-related or personal, don’t be shy and go talk to them. Also, make the most of their experience in the field: their advice could save you mistakes or help you go back on track. 10 – Be yourself – university is a fresh start, don’t waste this occasion pretending to be someone else. Don’t be afraid to show yourself for who you really are to the new friends you’ll meet.